961, Analog Mixer from Studer. 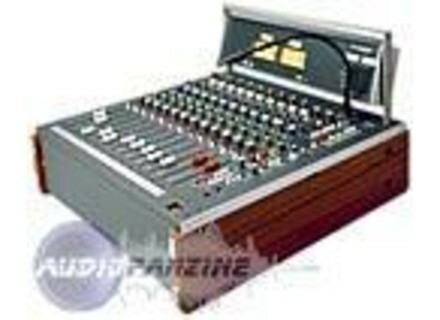 This is one console legendary Radio France, taken for its collection outdoor. Its strong points are advanced while its origin: "Swiss", a quality production all evidence, easy maintenance (requires analog) and a sound that feels good to the ears. The 961 is modular and rack and can accommodate up to 10 input units and two sub-groups (4 or 8 and subgroups). The connection is working with XLR, inserts and bantam jack outputs on DB25. The equalizer is semi-paramtrique trs fine music. Its mission is more correct than to transform. Long live the legalization and intuitive analog-sounding potentiomtre in two towers. The dynamics processing section on sub-groups (compressor and limiter) is completely transparent. The blast away at Studer trs lives at the bottom of the valley. Audio performance today, high flying. A compactness that allows anyone to take him o.